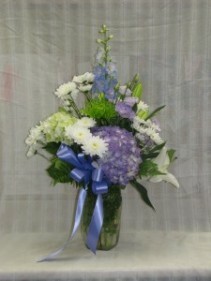 A lovely vase arrangement in soft shades of blue and lavender will make any occasion special. Free delivery in Kitchener Waterloo. 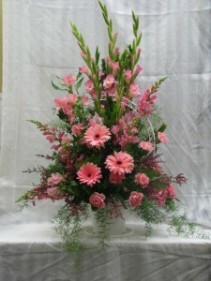 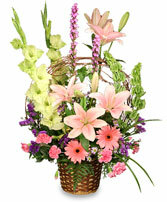 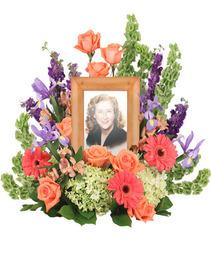 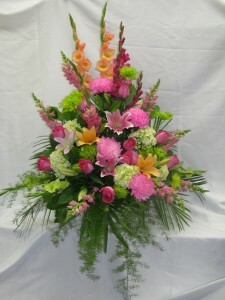 A funeral arrangement in pastel pink. 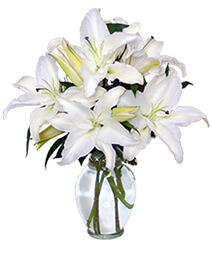 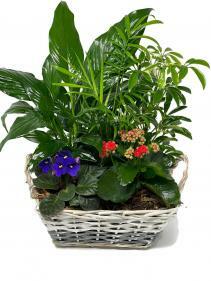 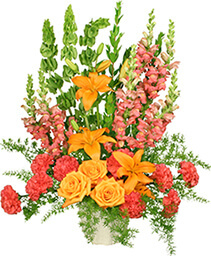 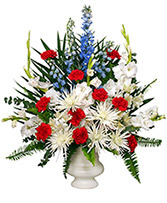 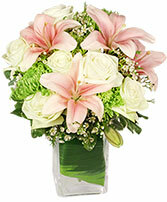 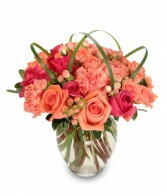 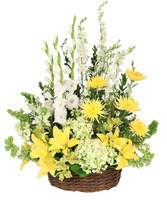 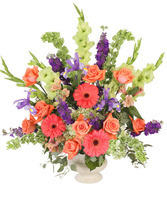 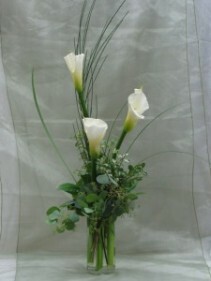 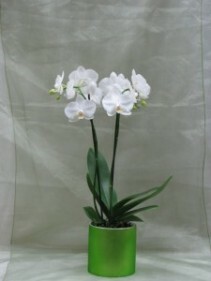 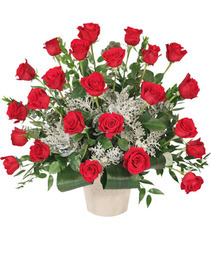 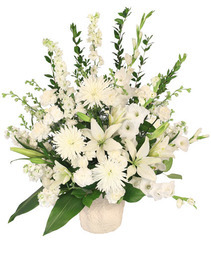 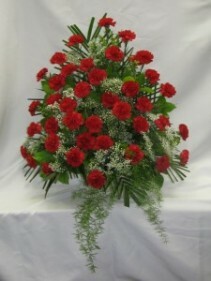 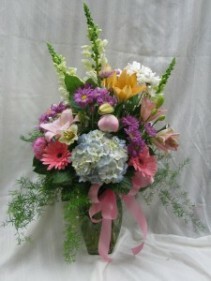 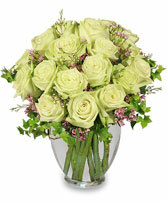 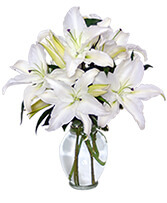 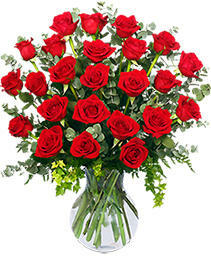 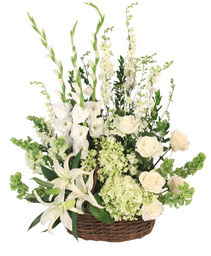 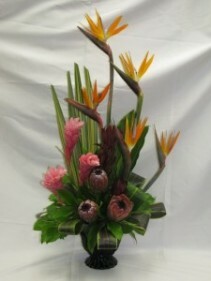 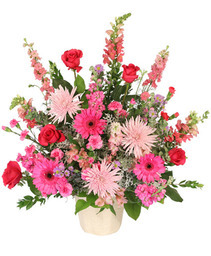 Show kindness and affection with this inspired arrangement from CAMERONS FLOWER SHOP. This timeless and touching tribute would make a lovely addition of freshness and color that is sure to be enjoyed and much appreciated. Arrangement includes: hot pink and peach roses, peach carnations and hypericum, accented with looping lily grass for unique visual interest.